Welcome to the Ambassadors Section – information and resources for any undergraduate or postgraduate mathematics students who are working with pupils in secondary schools. Read more! Answer 6 easy questions and see what our career calculator suggests! 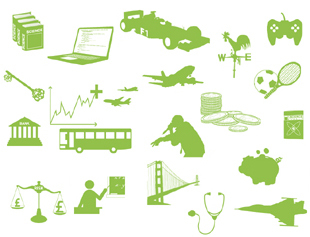 On this page, you will find a collection of videos including four short films (from “What’s the point” DVD) that highlight different industries, people and teams using mathematics in their work. 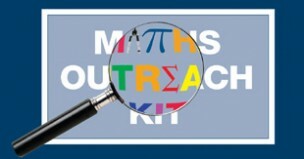 The Large Maths Outreach and Careers Kit was developed by the IMA as part of the National HE STEM programme. It was created in response to requests for ‘hands on’ activities for use in schools at outreach events, careers fairs and science days. Industrial Mathematics shorter Knowledge Transfer Partnerships (KTPs), are postgraduate internships that offer a new way of putting mathematics to work at the heart of business. A study undertaken by Sheffield Hallam University, as part of the mission of the More Maths Grads project to re-evaluate the curriculum in mathematics in higher education. This project involved the sharing of good practice in STEM communications between academics and students based at three universities (Bath, Bristol, and West of England) alongside input from the Institute of Physics and the Science Learning Centre South West.